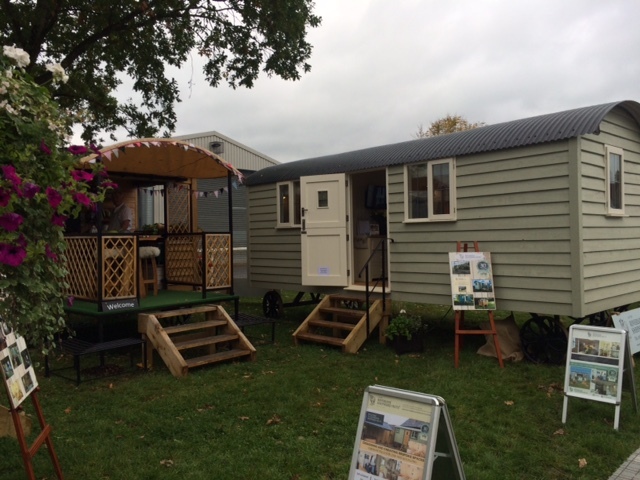 The 2017 Glamping Show took place 21 -23 September at Stoneleigh Park, Warwickshire. Over 80 exhibitors were there, showing off all the latest innovations that will transform the world of glamping as we know it. 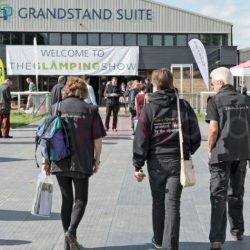 Why did Kinedo Go to the Glamping Show? Earlier this year we spoke to independent glamping advisor Kate Morel. She believes that showers are becoming increasingly important to the glamping experience. “As part of my work as a consultant,” she said, “I keep a sharp eye on how the glamping industry is progressing. Part of this is monitoring guest expectations, and they are certainly developing. “One thing that is increasingly important is better quality bathroom facilities. In response to customer demands, existing glampsites are upgrading to flushing loos and smarter shower facilities. Some are even adding roll-top baths. The Perfect Showers for Glamping? We went to the Glamping Show to demonstrate just how easy it is for glamping specialists to offer top of the range showers to their guests. Our shower cubicles are perfect for glamping. They’re compact enough to fit in most types of glamping accommodation, including shepherd huts, log cabins, and camping pods. They’re self contained and easy to assemble, so you can kit out all of your accommodation with ease. They’re easy to clean, they never get mouldy and they never leak. And best of all, they look and feel fantastic – so you’ll be able to offer the high standards guests expect from their glamping experience. At the Glamping Show, we put on some live demonstrations. Our installers built a cubicle shower from scratch to demonstrate just how easy it is to set up. And once it was set up, it became clear to everyone that these compact showers can fit into any space. 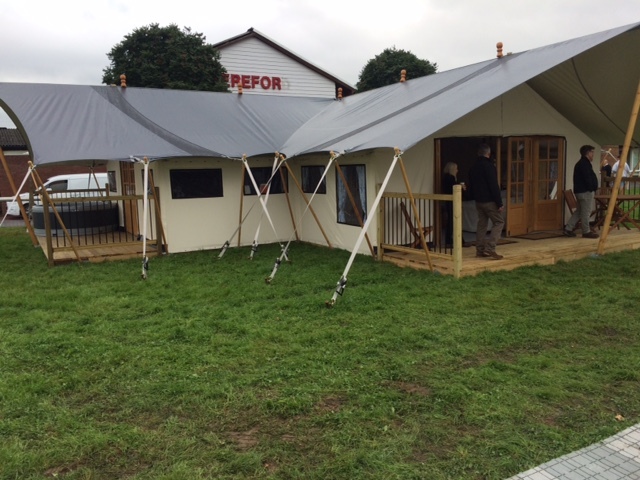 We were also on-hand to answer any questions about showers and glamping. We had a range of Saniflo products on display too, so we were able to demonstrate everything you need to offer top of the range showering facilities even if you don’t work with log cabins or shepherd huts. “Saniflo has had a lot of success in the glamping market during recent years and we decided to attend the show to demonstrate our products to a wider audience. Our roadshow van had a working display of our commercial pumps which attracted a huge amount of interest and we also had two shower cubicles on display. These are already being installed in pods, garden rooms and log cabins. Take a look at some of the work we’ve done with the glamping community to date. Click here to read about our work with English Shepherd Huts and MRC Modular. Click here to read about our work with Future Rooms of Gloucester. And for more information about what to expect from the 2017 Glamping Show, head to the official site.